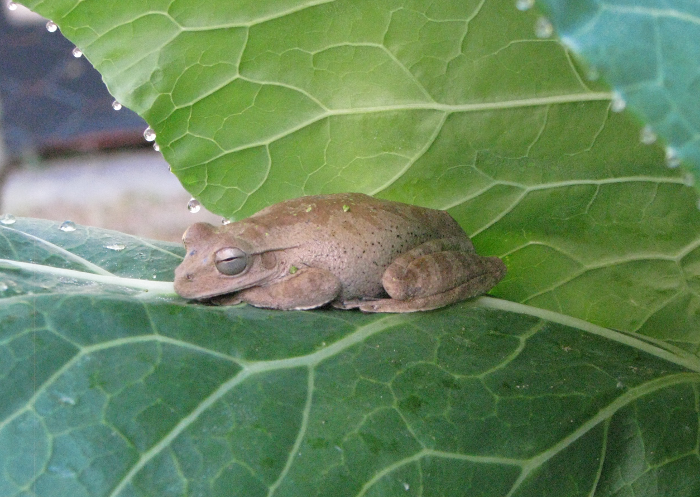 I often see frogs in the vegetable garden. This morning I spotted this particularly fat one sheltered in a collard plant. I hope he's so fat because of all the bugs and slugs he ate over night! Egg production continues and they taste so good! 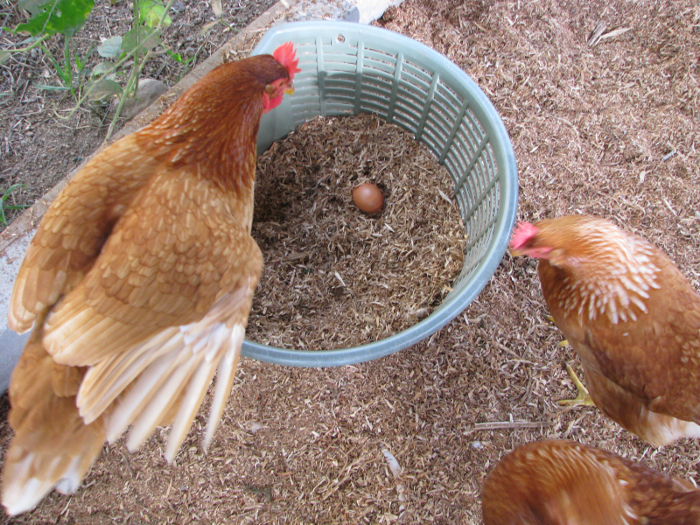 Here are the ladies admiring an egg before I take it away. The basket they are using for a nest is one the locals use to harvest coffee beans. John got it for free somewhere. I used it for various things before deciding it would work well in the chicken coop. One of the neighbor's cows got loose. 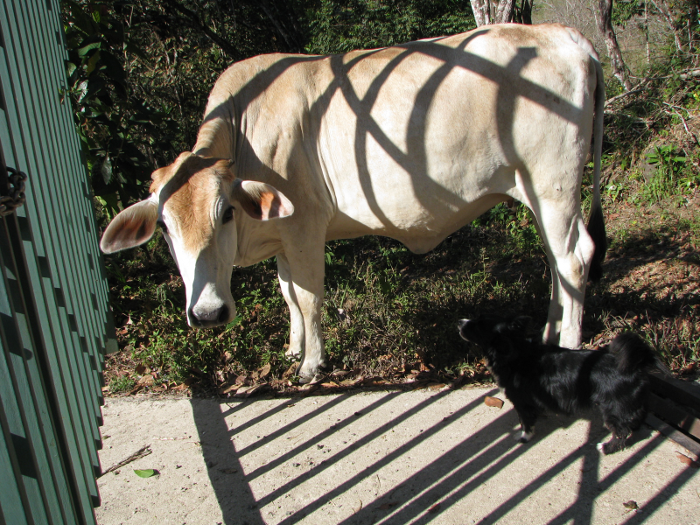 Here she is wanting to go inside our gate with Roxy at her heels telling her to go elsewhere. Roxy has no fear of large animals and will do what it takes to make them move on. Summer weather is in full swing. There has been very little rain this month and according to our thermometer the high temperatures are in the 90's.